IU has made a brief cameo appearance of KBS2 drama series Dream High 2. 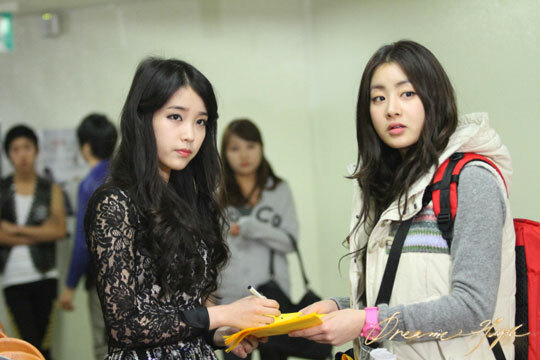 In episode 1 of Dream High 2 broadcast on January 30th, 2012, Hye Sung (played by Kang Sora) visits the TV station in order to watch the performance of idol group Eden. But because of the law that restricts the late-night shows by underage idols, the performance of Eden is facing with the crisis of been canceled. Hye Sun is going in all directions to voice the outcry. At this time, Hye Sung accidentally bumps into Pil Sook (played by IU), and she requests an autograph from the senior of Kirin Arts High School. 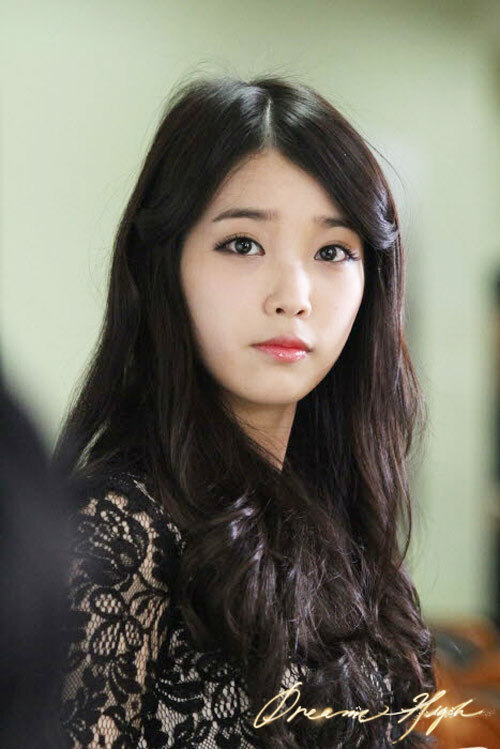 According to producer, the cameo by IU in Dream High 2 was purely accidental. She received the suggestion to cameo when paying a courtesy visit to the production team of Dream High 2, and she readily agreed to the cameo on the spot. The production team was grateful to the IU’s cameo appearance and invited her to officially star in future. Everybody is happy for been able to meet the first batch graduate of Kirin Arts High School. IU also wanted the production team to keep in touch with her again for possible future appearance.